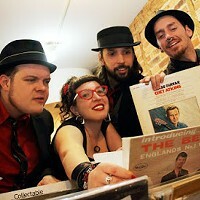 “Jump, Jive, and Harmonize” was a long-ago single from Chicano beat combo Thee Midnighters, but the title would aptly serve as a mission statement from Hudson Valley music scene prime movers Lara Hope and the Ark-Tones. Anyone who has seen them perform, be it on a Hudson street corner, a pop-up freak-show beer hall in Kingston on New Year’s Eve, or juke joints in most of the continental 48, can testify to their powerfully joyous live show. Matt “the Knife” Goldpaugh (upright bass), Chris Heitzman (Guitar), Dave Tetrault (drums), and the inimitable Hope (vocals), have a remarkable chemistry; the instrumental interplay is almost jazzy in its spontaneous and intuitive execution. This album is pretty special, not simply for the strong songwriting and talents of the core group, but also for the superb crystalline production of the band, as recorded by Adam Armstrong at Dreamland Studios, and the guest talents of a half-dozen local musical luminaries, including Haydon Cummings (saxophone), whose horn injects some extra bawdiness and soulful menace on three numbers. Broadly classed in the Americana/roots genre, the Ark-Tones are adept at taking in disparate elements of indigenous music and spitting out freshly funny, intense, and dynamic music. Perfect example: The sole cover song is “Bei Mir Bistu Shein,” made famous by the Andrews Sisters. Abetted by Mercury Rev’s Grasshopper (clarinets), the Ark-Tones throw klezmer, German beer hall music, and a dash of polka in the bouillabaisse and come out rocking it Weimar Republic style. 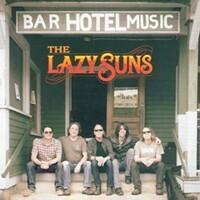 The band will play the Rosendale Cafe on February 28. Larahopeandtheark-tones.com. 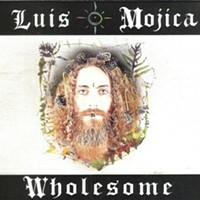 CD Review: Luis Mojica "Wholesome"